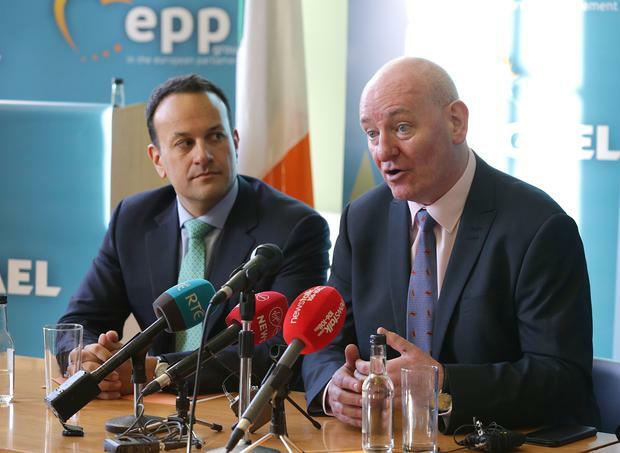 BREXIT has been like a "Homer Simpson nightmare" according to Mark Durkan, one of Fine Gael's candidates for the European Elections. Former SDLP leader Mr Durkan has also insisted that if he's elected he'll be a representative for Dublin in the European Parliament as well as "an authentic voice for the North". Mr Durkan is running alongside former Tánaiste Frances Fitzgerald, as Fine Gael seek to win two seats in the capital. Asked today for his views on the current state of play in Brexit he said it's "wait and see" in relation to talks between British Prime Minister Theresa May and UK Labour leader Jeremy Corbyn. They’ve been seeking to come to a compromise on the British position ahead of this week's looming UK departure date. Mr Durkan also said that the Brexit process to date "has been like a Homer Simpson nightmare. "Every time you think it’s possibly coming to a conclusion there’s a whole new twist and off we go again. "There will probably be more than that," he predicted. He said Ireland will have to find its own way through Brexit and said that the Good Friday Agreement is "a sat nav" that can do this "to make sure that we resolve the border issues here but also we solve the problems that are facing many different sectors here in the south". Mr Durkan, who won't be moving to Dublin from the North if he wins a European Parliament seat said that people in the capital that he's spoken to since he launched his campaign know he “won’t be simply a representative for people in Northern Ireland". He said that as an MEP he would be working on issues related to the Eurozone and the balance of taxation power in Europe. He referred to EU infrastructure funding of the kind that helped towards the Terminal Two at Dublin Airport and the Luas Cross-City project and said people will want Dublin and Ireland prioritised in any future funding schemes. Mr Durkan said the main Dublin related issues that have been raised with him while canvassing so far are housing and infrastructure. He also said: "People are also fundamentally concerned about the impact of Brexit." He said that aside from the border issue, people on the doors are talk to him about how Brexit could affect businesses and their own working lives.